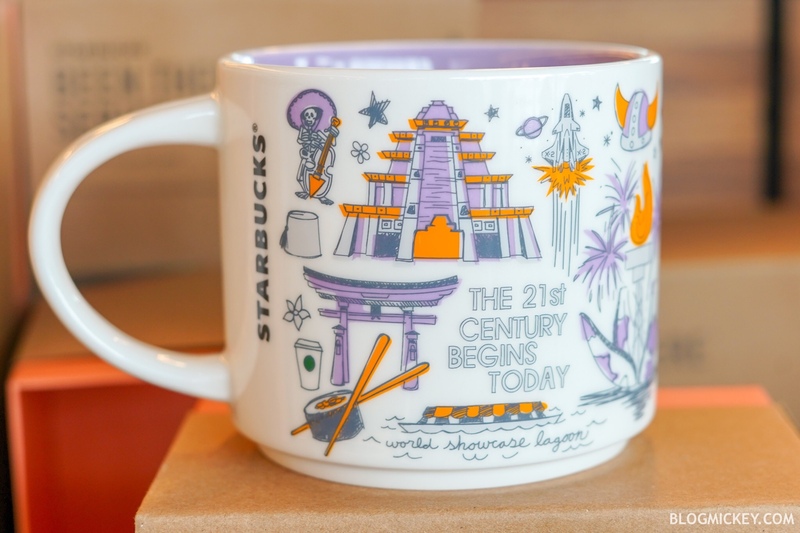 Continuing the new “Been There Series” Collection, a new Starbucks mug has arrived in Epcot. 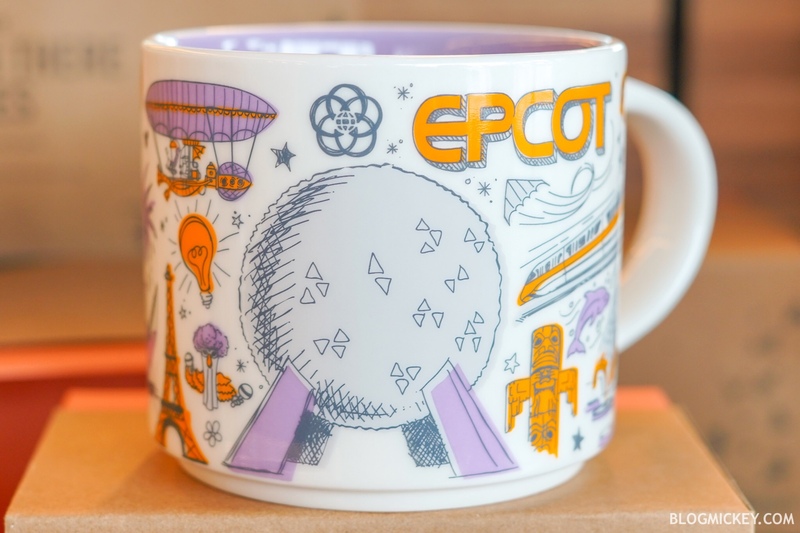 The new Epcot mug features Spaceship Earth as its icon and attractions from the Park. 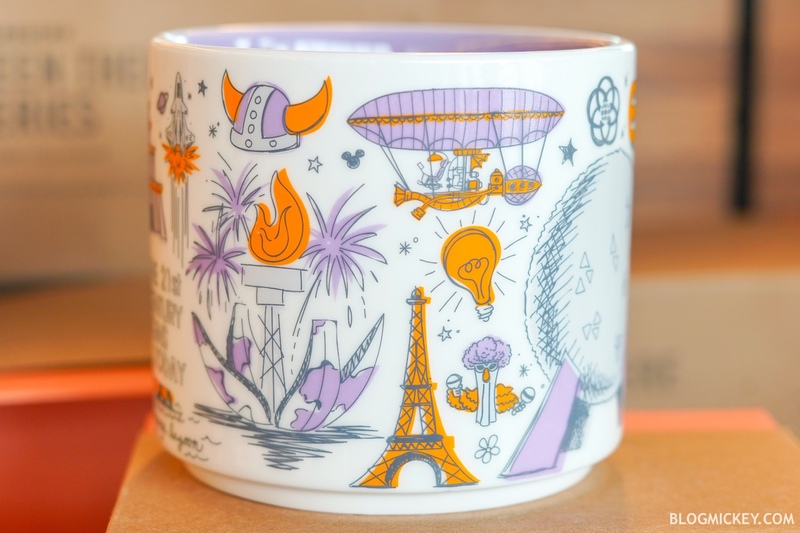 Highlights found on the mug include: the orange monorail, Eiffel Tower, Canada totem, the Dreamfinder’s ship, Soarin’, the Japan Pavilion, the Imagination Pavilion, the Mexico Pavilion, Kitchen Kabaret the Friendship Boats, and Illuminations. 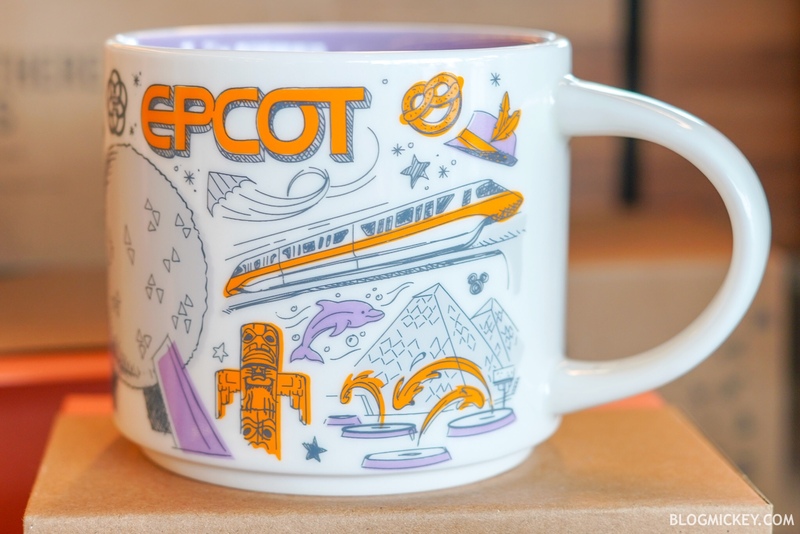 The mug retails for $16.99 and can be found in Fountain View at Epcot. 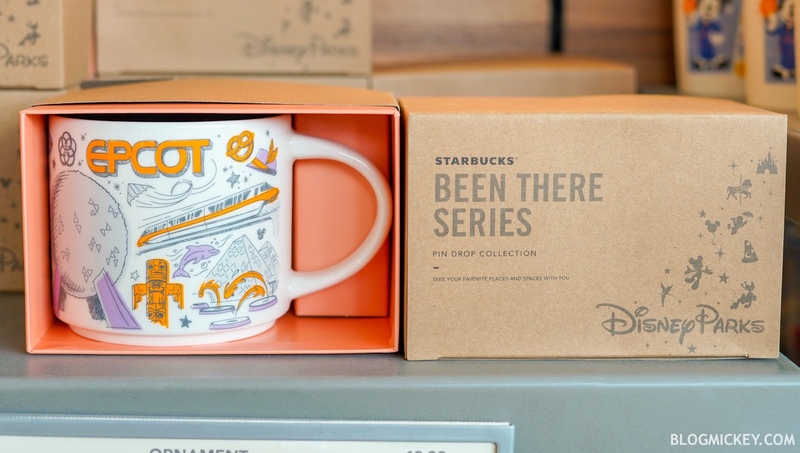 Here’s a look at the Magic Kingdom mug as well as Disneyland’s mug.